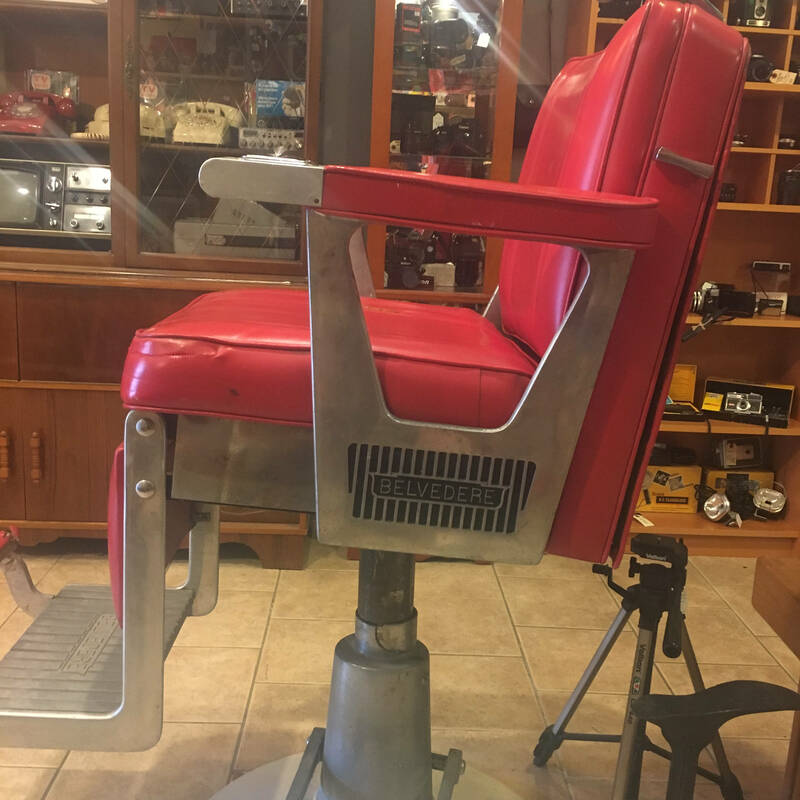 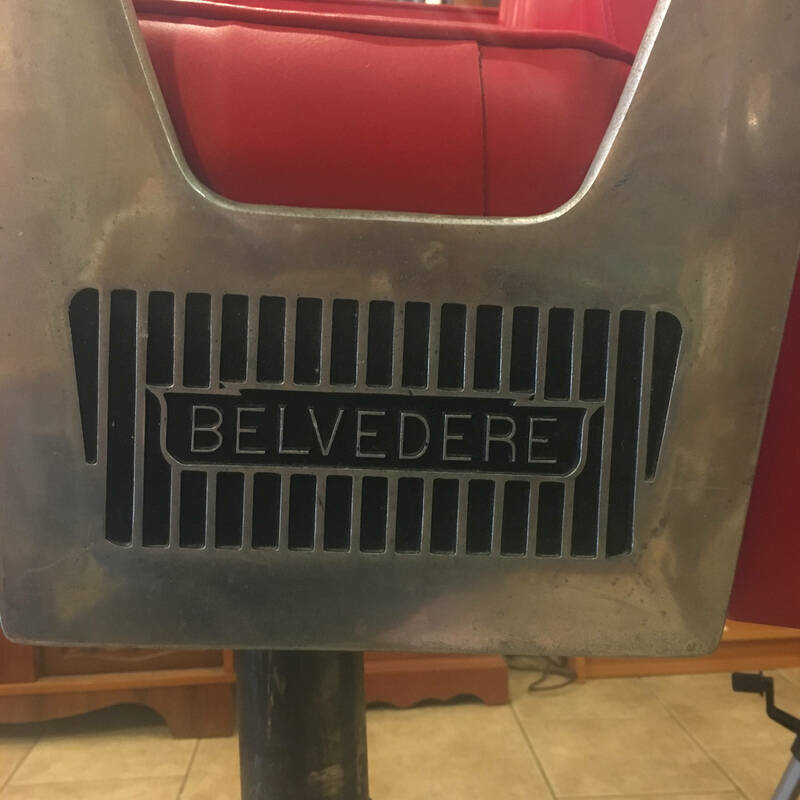 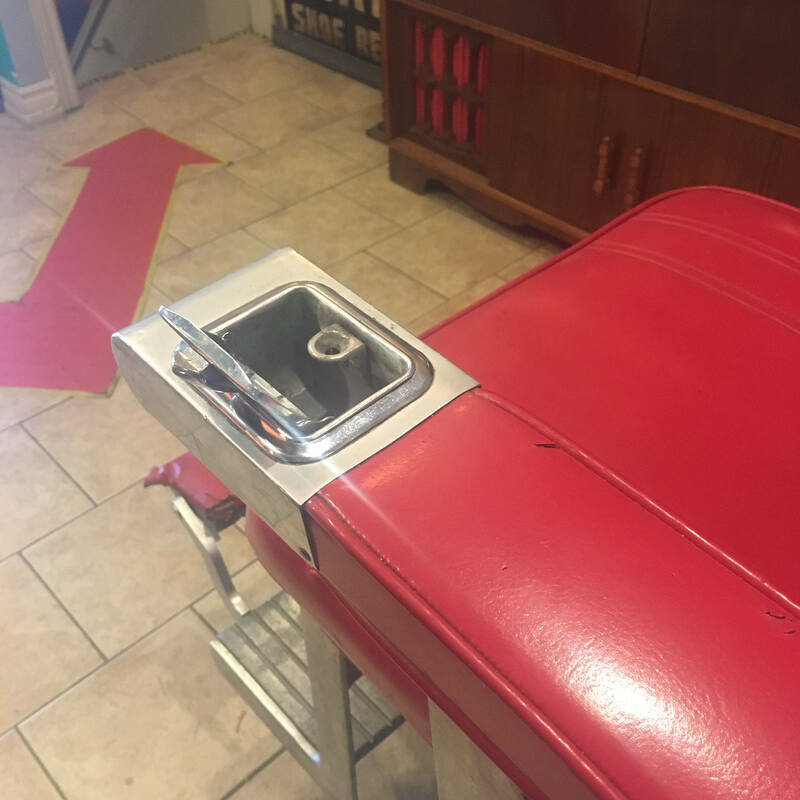 This unique Belvedere barber's chair would be a great piece in your home for the man cave or basement bar. 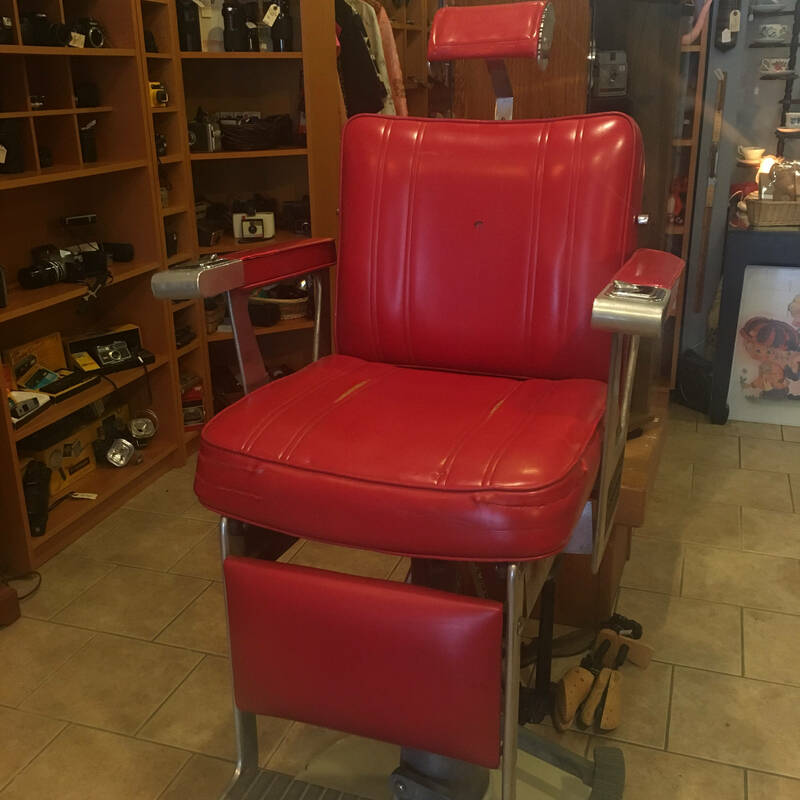 Completely authentic and in great condition, you won't want to miss out on this! 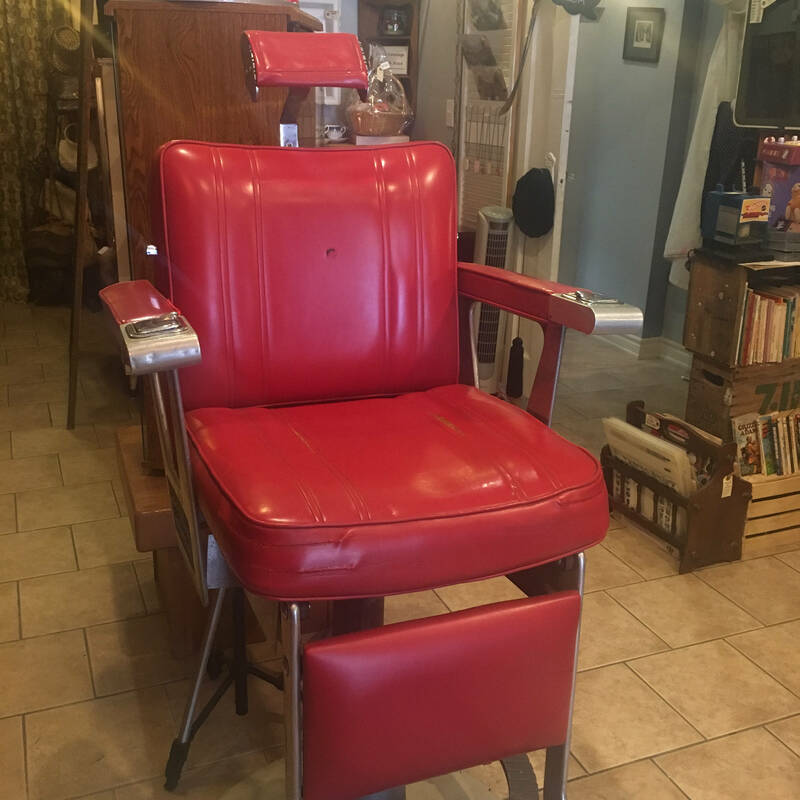 With nearly everything perfect, this chair does however need a little work on it's hydraulic lift and back rest mechanism.